Let me say this early to get it out of the way. 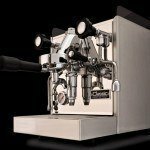 The Expobar Office Lever espresso machine is built like a Sherman Tank out of solid stainless steel and looks as if it takes no prisoners. 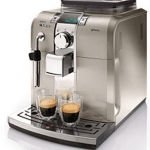 This espresso maker is – as the name ‘office’ implies – designed on a large enough scale to provide refreshments for an entire office full of people. 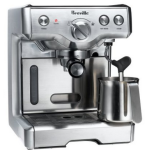 As well as being used as the workplace caffeination station, or a brewing sentinel at your local café, coffee lovers are increasingly eyeing this little beauty up as a domestic goddess of espresso lurve for all hours at home. That is, if you can afford it! Whatever you use it for, this unit looks and feels like a pro. The rubber feet are solidly made and sturdy and will ensure no Fred Astaire tap dancing all around your kitchen units. All knobs, balls, levers, wands and other whizzy bits handle beautifully and there shouldn’t be any uncomfortable fits or grappling (too much) with the actual nuts and bolts of this unit. Speaking of the nuts and bolts, the layout internally speaking is very roomy and allows for adequate access when arranging replacements and maintenance, which is bound to happen at some point over the decade or more you own it. 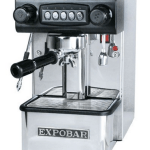 Also good to know is the manufacturer, Expobar, has not skimped on any of this hardware, and so you likely won’t need to replace anything for a good long while with the Office Lever. 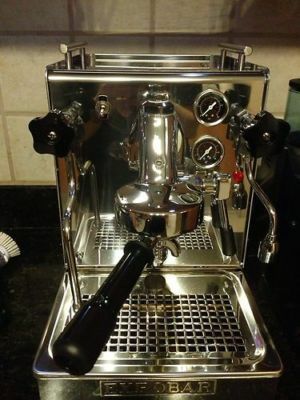 Not all manufacturers ensure that every little bit of their espresso machine is so rock solid, so that is a definite plus (which of course is reflected in the price as well). The Expobar Office Lever uses the classic E61 group, which is a welcome sight because it always means you’re dealing with quality when it comes to hardware. The steaming wand has a single hole steam tip and the micro foam is fast and readily achievable with little fuss. Water can be steamed from a starting temperature of 5 c up to 60 c in about a minute. 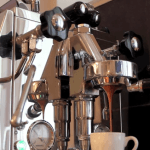 This reviewer feels that it is simple enough for a novice barista to use this steam wand, and it is one more good thing about the Office Lever. 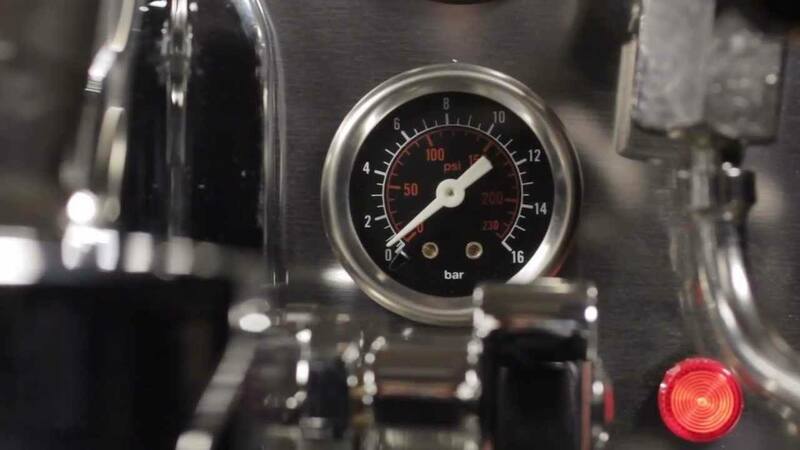 It does take about thirty minutes for the machine to become fully warmed up and cooling flushes do need to be performed on the system, before beginning a series of espresso shots. 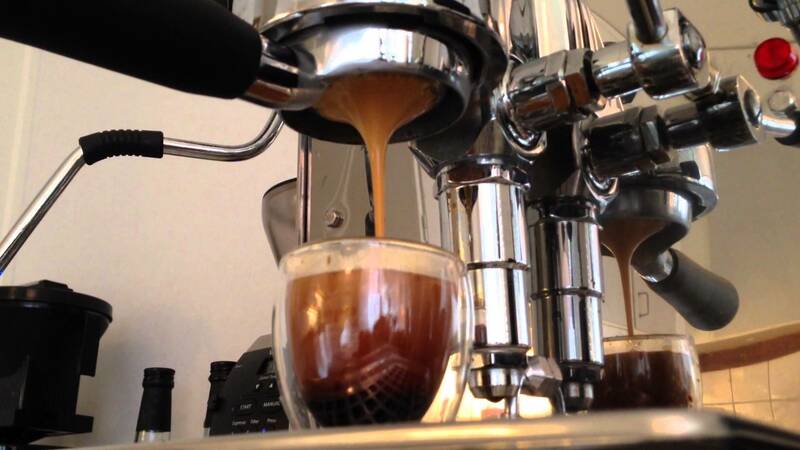 Everyone raves about the thickness of the crema and the high level of quality in general of the espressos produced by the Expobar. You will not be disappointed. The size of the water tank is large – with its small hole for refilling being both good and bad. It is good that gunge and debris cannot easily fall in, it is less good for ease of cleaning. 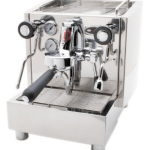 This unit also comes with an impressively sized drip tray unit, that can hold 2.3 liters easily, but still is easy enough to remove whilst full. If you have been reading around the subject of the Expobar Office Lever you might have noticed that there is a very similarly named unit with a slightly different spelling. 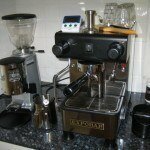 It is not a mistake, the Expobar Office Leva is an identical machine, albeit manufactured with the different electrics needed for the UK. If you are in the United Kingdom and wish to buy this, the manufacturers can ascertain that this is indeed the same product. NEEDS ABOUT 30 MINUTES WARM UP TIME – SWITCH IT ON EARLY! 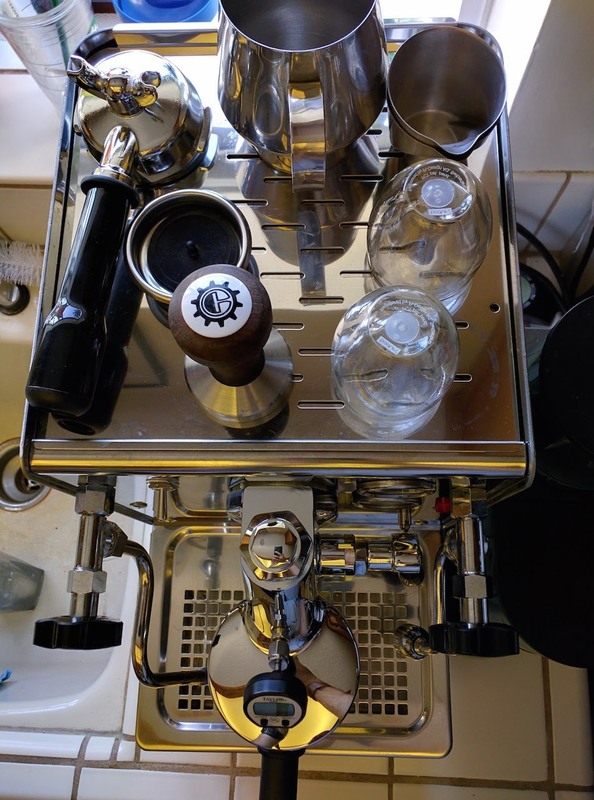 The overall verdict of the this reviewer is that this is an all round great espresso machine, built and designed to a high standard and will last a long time. The parts are high quality components and the engineering has been top notch. You could certainly spend more and get less, for a machine in this class. If you are able to spend this much money, then you owe it to your office (or just yourself) to treat yourself to one.